When looking to plan an awesome bachelor party, Minnesota has plenty of great options. Today’s bachelor parties have evolved from the traditional destinations such as bars and strip clubs. 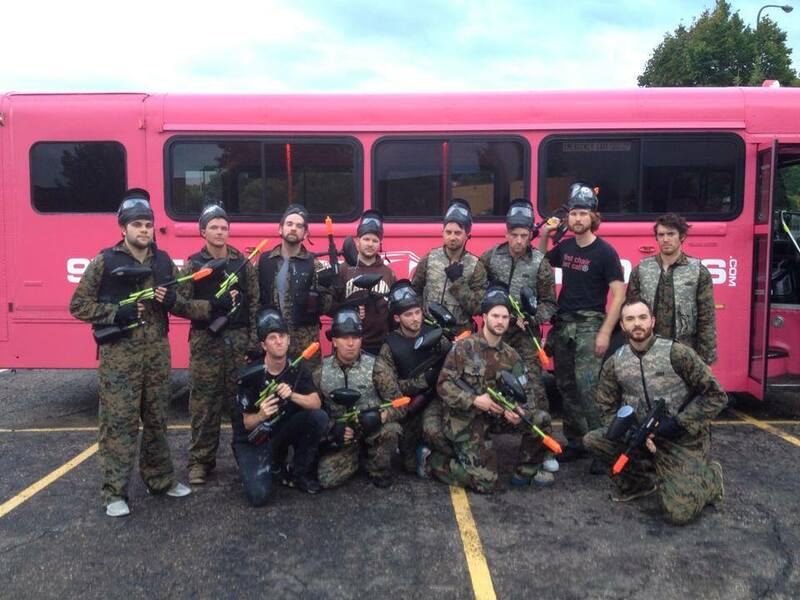 Bachelor parties are now weekend events that include several activities such as paintball or go-karting. It’s not easy to find activities that everyone can participate in and enjoy, especially if you’re not local to the area where the bachelor party is being held. If you find yourself in that situation, read on for our top ten bachelor party destinations in Minnesota. We’re an indoor paintball field in St. Paul, MN, so obviously we’d love the opportunity to host your bachelor party in the Twin Cities. We feature a 17,000 sq ft, climate controlled playing field in downtown St. Paul. Reservations are available daily and there is no deposit required, making it easy to plan a paintball outing as part of your bachelor party. For more information about planning a bachelor party, give one of our party specialists a call at 651-222-0300, or check out our pricing page for special offers. Reservations can be made by using our online reservation tool. If paintball isn’t your number one choice maybe Air Assault isn’t for you. No worries there are plenty of other stellar bachelor party destinations in the Minneapolis/St. Paul area. Here are nine more ideas to get the ball rolling. ProKART Indoor. This indoor go-kart racetrack makes for a great group activity no matter what the weather is like in Minnesota when you schedule your bachelor party. Whitewater rafting. If you don’t want to do something indoors take the gang rafting on the St. Louis River. Aqua. Dancing drinking and late-night partying at this nightclub will give you everything you’ve expected from a typical bachelor party. Vertical Endeavors. This is a rock climbing facility with locations in both St. Paul and Minneapolis with climbing walls up to 60 feet. A.C.E.S. Flight Simulator. Play a Warbirds game with your friends in simulated air-to-air combat choosing from over 250 different fighter types. Deep sea fishing on Lake Superior. If your bachelor party falls at the right time in the season you can charter a boat and spend a quiet day fishing and enjoying nature. Stogies on Grand. Looking for a unique way to celebrate your last unmarried night? Check out this classy cigar lounge. Summit Brewery. If your night’s going to involve some drinking why not start off with a brewery tour? You’ll even get free samples at the end. Red Stag Supper Club. If all you really want from a bachelor party is an enjoyable dinner and drinks with your friends you can’t go wrong with here.